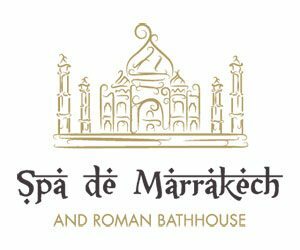 Offering the best of Arabic healing rituals, Spa de Marrakech presents treatments including the Arabian Steam Temple Journey and the experience of a traditional Roman bathhouse. Set amidst a landscaped estate containing bamboo groves, lakes and waterfalls and a mere 45 minutes east of Melbourne CBD, you’ll also find Japanese Mountain Retreat Mineral Springs & Spa. The resort features a five star spa complete with Roman Bathhouse as well as 3 retreats that capture the beauty of the natural surrounds, making it an ideal setting for luxurious escapes. * Appeal to the couples and luxury traveller market. * Slow and smooth execution of message delivery. * Show all features in a thirty second window. * Show accomodation but don’t make it a feature. * Produce 2 projects for Spa de Marrakech and Japanese Mountain Retreat, each with a 15 & 30 second TVC and a 90 second promotional video. * Film all of it in one day. We started by creating the script. The pacing had to be just right. We had a lot to cover, not much time and the client wanted the vision and the cadence to be relaxed. We studied the business and went for an extended recce. We sat down as a team and discussed what to feature and how. We decided that the best way to showcase exactly what was on offer was to take a journey with the couples we had cast and follow them as they are pampered and delighted. The pre production on the project was enormous. It was very difficult to cast actors that had the right look and would work on a TVC within our limited budget. From there we sourced music and worked on theming and shot structure. Every shot was planned out and given an allocated time to get and then move on. All was in readiness and the only hurdle was that on the day of filming Melbourne put on a scorching 40 degree day. Our crew worked tirelessly for eleven hours straight in the heat and humidity and it is a credit to them all that the finished products look so refined and elegant. All the tools were brought out included sliders and steadicam. The feedback from the client has been very positive. She loved the concept and the execution. The translated videos work well even with the different timing and structure of the Mandarin language. In fact watching the videos we feel sure you will want to go and be pampered yourself.